Ubisoft published a new survey to find out what fans are playing, and what their purchasing plans for the future are. 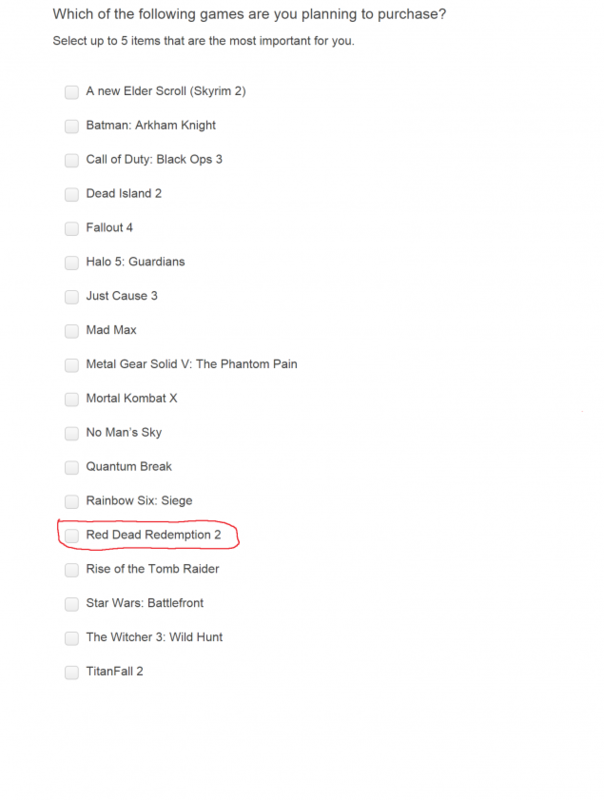 In the survey participants are asked to indicate anticipated games that they are planning to purchase. Between the titles available are a few that stand out including Titanfall 2, a new Elder Scrolls game and Red Dead Redemption 2. While this may not be indicative of anything and just Ubisoft’s way of identifying with the needs and wants of the gaming public, it might also be a case of the company having knowledge of what is coming from other developers and publishers. 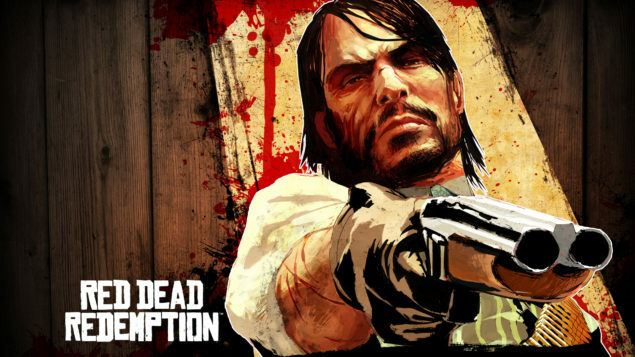 Recently Reddit’s member ‘AnonDN1978‘, who claims to be a former Rockstar developer, has leaked information regarding the rumored Read Dead Redemption title, that is said to have been in development at Rockstar for some time. The game is said to take place in the same area as the first game, will have three playable characters, two of which are from the original game, and one completely new. AnonDN1978, also claims that Bully 2 is also rumored to be under development, but no information was available on the title. Red Dead Redemption is said to have been in development for the last three and a half years, although Rockstar has not confirmed whether this is true. Still this can be only considered a rumor as of yet, and even if there have been talks of Read Dead Redemption being announced at E3 2015, until it actually happens we can only hope. Regardless the wait is almost over as in a couple of days we will be able to find out if Rockstar will be taking us back to the old west sooner rather than later.